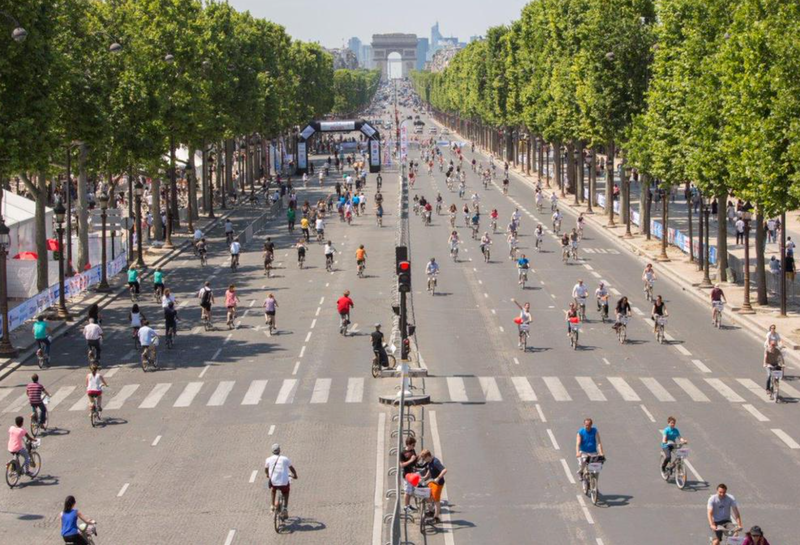 Paris staged a car-free day for the first time last Sunday, with large parts of the increasingly polluted French capital taken over by cyclists, joggers and families with pushchairs on roads normally choked by vehicles. The roaring traffic of the world-renowned Champs-Elysees avenue was replaced by people strolling in the late September sunshine. Paris became the latest city worldwide to hold a car-free day as it prepares to host United Nations-led climate negotiations this December seeking to seal a post-2020 pact on curbing greenhouse gases. All traffic except taxis and emergency vehicles was banned in four central arrondissements, or districts, from 11 a.m. to 6 p.m.
Paris Mayor Anne Hidalgo said she would have liked cars to be silenced across the whole city.